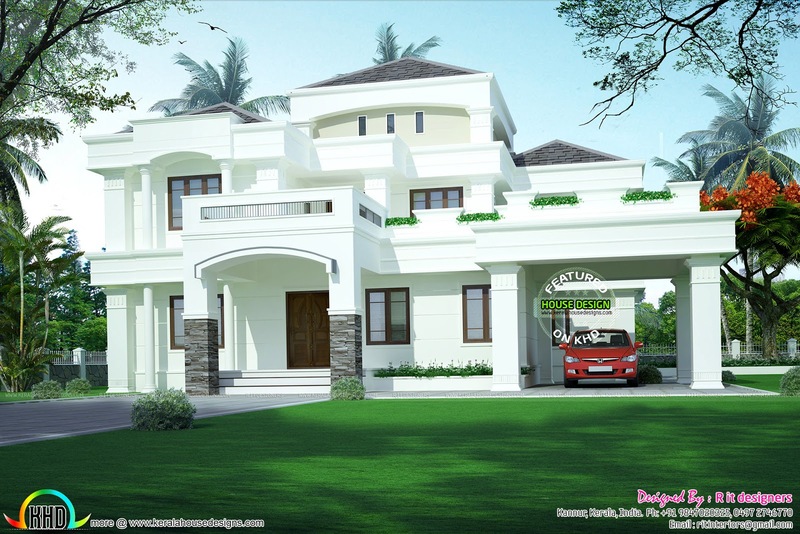 4 bedroom Colonial model double storied house plan in an area of 2981 Square feet (277 square meter) (331 square yards). Design provided by R it designers, Kannur, Kerala. Ground floor area : 1771 Sq. Ft.
Porch : 228 Sq. Ft.
Total area : 2981 Sq. Ft.
1 comments on "Double storied Colonial touch home design"